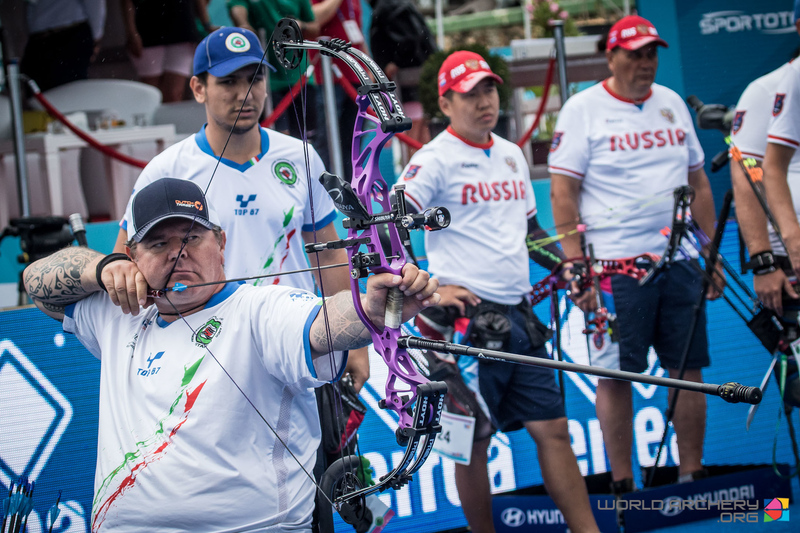 Italy’s Alberto Simonelli scored 707 out of a possible 720 points for the 72-arrow 50-metre ranking round to raise his own compound men’s open world record by one at the Fazza para archery world ranking tournament in Dubai, UAE. The 51-year-old, who was runner-up at the last Paralympic Games, had held the record at 706 points since late-2015. “I didn’t expect to arrive in Dubai with the intent of shooting a new record, but I was aware of how I was doing and found myself at ease on this shooting field,” he said. Simonelli will attempt to qualify for his fourth consecutive Paralympics this year, after finishing with individual silver medals in 2008 and 2016, and has also recently been a member of the Italian squad for the able-bodied World Archery Championships, finishing second in the team event in 2017. He also holds the para world records for the 15-arrow 50-metre matchplay round, at 150 9X, and the 70- and 30-metre distances of the 1440 Round. Currently ranked the number two para compound man in the world, behind Marcel Pavlik, Simonelli said he still had work to do despite hitting this new record score. The Fazza para world ranking event in Dubai, now in its fifth year, is the first of a calendar of major para archery tournaments leading up to this summer’s World Archery Para Championships in ’s-Hertogenbosch, Netherlands. Those championships act as the primary qualification event for the Tokyo 2020 Paralympic Games.